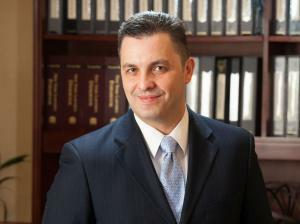 Georgaklis & Mallas, PLLC, would like to congratulate our senior trial attorney, Kostantinos Mallas, for his success in a difficult medical malpractice case, in Westchester County. Our client in that case was going in for a routine colonoscopy and had her colon perforated. The treating physician claimed that the perforated colon was a risk of the colonoscopy and there was nothing that could have been done to prevent it. Mr. Mallas through expert testimony was able to show while a perforated colon in fact is a risk of a colonoscopy this specific procedure should have been aborted because our client appeared for the colonoscopy with a poor prep. The defendant doctor who was faced with this poor prep due to the ineffectiveness of the laxative should have aborted the procedure. We were successful in this matter through our commitment to our clients in retaining the proper experts and educating ourselves on the subject matter.